The Cerrillos Hills Park Coalition is dedicated to facilitating the acquisition and transfer of lands in the Cerrillos Hills for purposes of education, conservation, and where appropriate and compatible, for public recreation through augmentation of Santa Fe County Open Space and the Cerrillos Hills State Park. The underlying mission of the Coalition shall be to protect and preserve the rich history and natural attributes of the Cerrillos Hills and related areas for all generations to come. 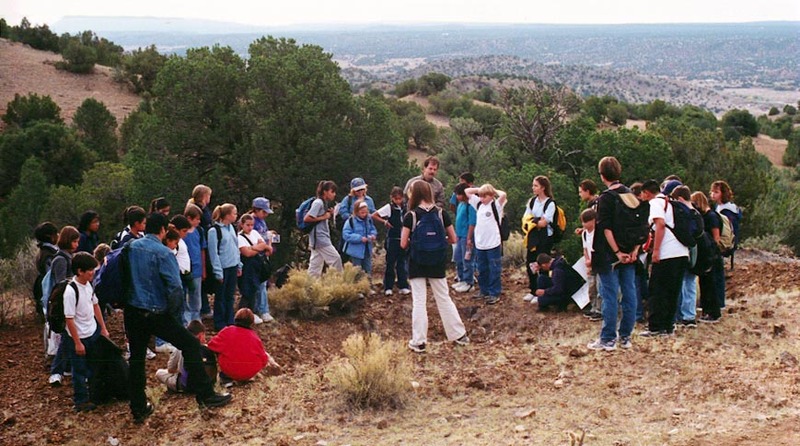 The Cerrillos Hills Historic Park offers a dramatic and unique opportunity to preserve one of the Southwest's important archeological, historic, cultural, ecological, and scenic places, while making it available to people - for recreation, education, research, and building community. The Cerrillos Hills, with their gentle and distinctive profile southwest of Santa Fe, form a visual landmark for most residents of Northern New Mexico as well as visitors to the area. Few, however, are aware of the rich history and stark beauty of the area. For local residents: a common identity and a focus for community activity and volunteerism, as well as an understanding of the area's history. For all Santa Fe County citizens: a range of recreational and educational activities in a setting carefully designed to protect historic sites and the natural environment, while ensuring public safety. The county would also benefit from tourism generated by the park. For visitors from elsewhere in New Mexico and beyond: In addition to the benefits to couny residents, a place to study and understand some of the ancient and more recent mining history of the Southwest United States. The park will be designed and managed to minimize the physical impact on this unique resource. For example, public access will be limited by providing a single point of entry and a defined parking and staging area where information will be provided on park features and regulations. Some uses will be allowed only in supervised groups. Potential park activities include: hiking, horseback riding, and biking; supervised camping; educational tours; artistic activities such as painting, sketching, photography, and music; visits to archeological and historic sites; limited and controlled hobby mining; piñon and wild herb collecting, and reclaiming degraded areas. In short, the Cerrillos Hills Historic Park will multiply the opportunities for county residents and visitors alike to enjoy and learn about the Cerrillos Hills in all its many facets, while protecting and preserving the area for generations to come.